Following on previous popular posts about jQuery plugins and best jQuery star rating tutorials this time we have created a list of very useful jQuery Mobile resources and tutorials. In this list you will find links to more than 100 very useful tips and tricks. Mobile web is becoming more and more popular with number of smart mobile devices growing fast. Learning how to use one of the most popular tools for making dynamic mobile web applications will definitely be interesting and useful. And if you are looking for tutorials on how to wireframe and prototype your mobile applications – we have got you covered in the new blog post dedicated for this topic. 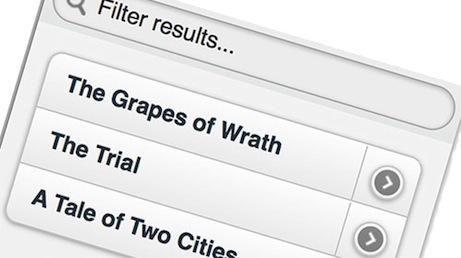 Enjoy your jQuery Mobile tutorials. You’ll find 50 handpicked mobile tutorials, tips and frameworks to suit all your mobile app development need by using jQuery Mobile. We defenitely recoment you to have a look at this list. What jquery can do for you? This tutorial has been out there for a while but still is very relevant and provides many useful tips and tricks for jquery mobile developers. 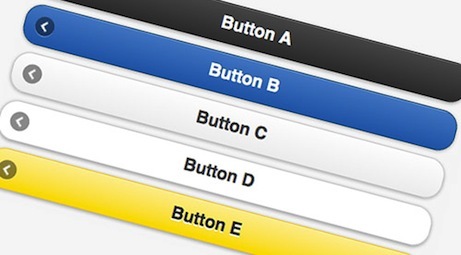 Designmodo folks collected another 18 tutorials for you. You’ll learn how to buil jQuery projects from scrach, add more dynamic with PHP and create mobile optimized themes. 3 part tutorial which covers framework basics, introduces dynamic pages and explains tips and tricks for data management features. Make sure you read this. These tutorials are picked for ecommerce developers. Some specific examples and resources for building mobile ecommecre sites and portals by using best mobile web framework out there. In this Video tutorial you’ll create jQuery Mobile theme in Fireworks, preview the theme, and move it into an HTML5 jQuery sample. Must see if you use Adobe development tools and jQuery Mobile. 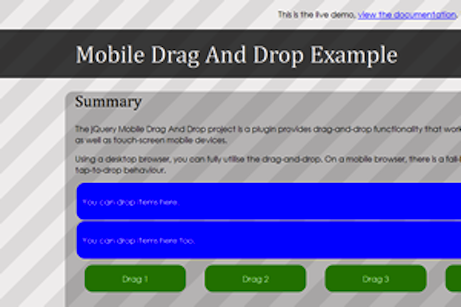 Developer zone offers collection of jQuery Mobile tutorials. Check them out.